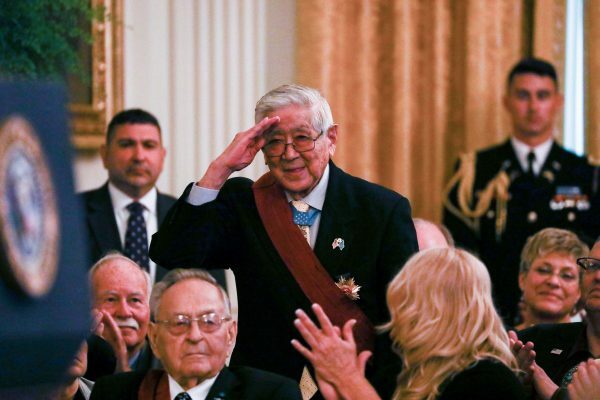 WASHINGTON—Korean War veteran Hiroshi Miyamura was one of 33 Congressional Medal of Honor recipients heralded at the White House on Sept. 12. In April 1953, Miyamura’s company was about to be overrun by the enemy near Taejon-ni, Korea. Then-Cpl. Miyamura, a machine gun squad leader, “aware of the imminent danger to his men, unhesitatingly jumped from his shelter wielding his bayonet in close hand-to-hand combat, killing approximately 10 of the enemy,” according to the Congressional Medal of Honor Society website. 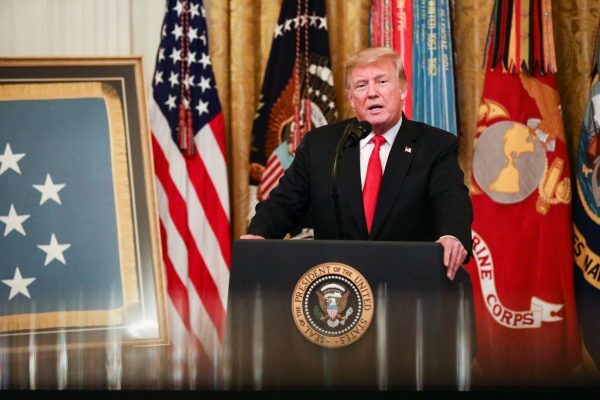 Trump paid tribute to all 72 of the living recipients of the award. The Congressional Medal of Honor is the highest award for valor in action. Since assuming office, Trump has presented four Congressional Medals of Honor to war heroes.